UPDATE: Sara has completed her coursework and practicum in Psychology and is now preparing her thesis outline for submission and approval. Please visit our Student and Grad News and Notes page for inspiring photos of Sara and some of the children she has worked with. Sara is finishing her 9th semester studying psychology at the University of San Andres in La Paz. Originally interested in public health, Sara observed two types of illness: one physical and the other spiritual. She felt that studying psychology would allow her to help people socially and spiritually. During her study she worked with children in jail to help them keep their dreams of the future and to help them adapt to society. She also did psychotherapy with campesinos (poor rural farmers) to treat trauma resulting from the 2008 violence in Sucre. Sara reports that her uncle has always been a great inspiration to her. “He says that we have to raise ourselves up from below. He is a good example for his family.” When Sara finishes her studies, she intends to specialize in social psychology and to work with young people. 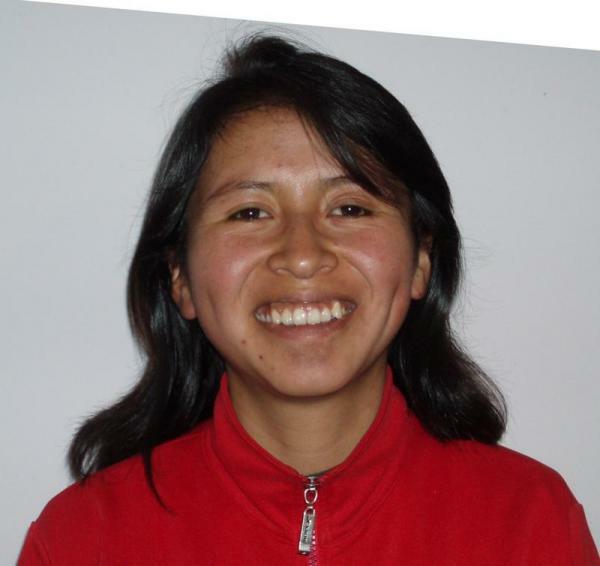 She lives in El Alto with her parents, 4 older siblings, and her aunt and grandmother. Sara's parents are artisans and shepherds and work in the NGO Compassion International. They are all members of the Santidad Yearly Meeting. In her free time, Sara is dedicated to Latin and folkloric music. She has practiced music since she was 13 years old, and currently has a group composed of all women. They are called "Messengers of Peace" and have a DVD available. Sara has had a BQEF scholarship since 2006. Submitted by mbruegel on Wed, 06/16/2010 - 04:00.